Sometimes an invite pops into my inbox that I just cannot turn down. 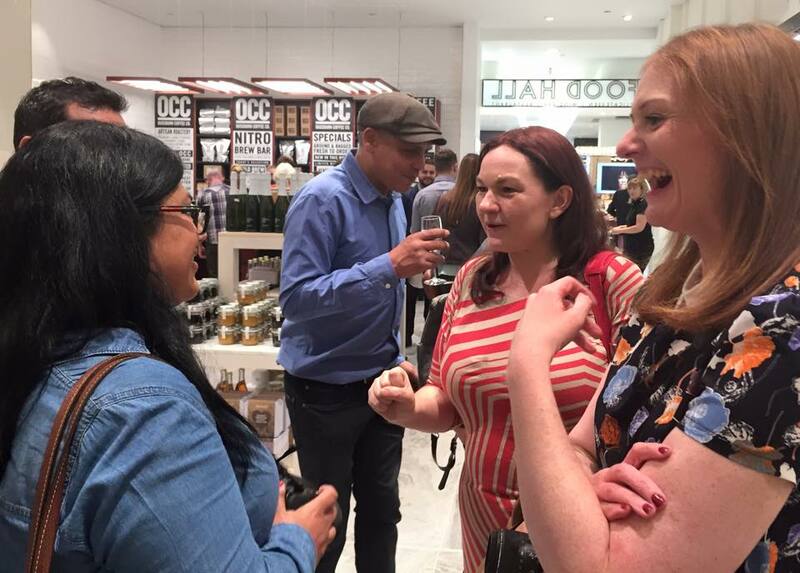 An invitation to the Fenwick food hall relaunch was one of those events I RSVP'd to straight away and could not miss. Babysitters were arranged ASAP and as I followed social media in the lead up to the evening, I knew I was in for a treat. 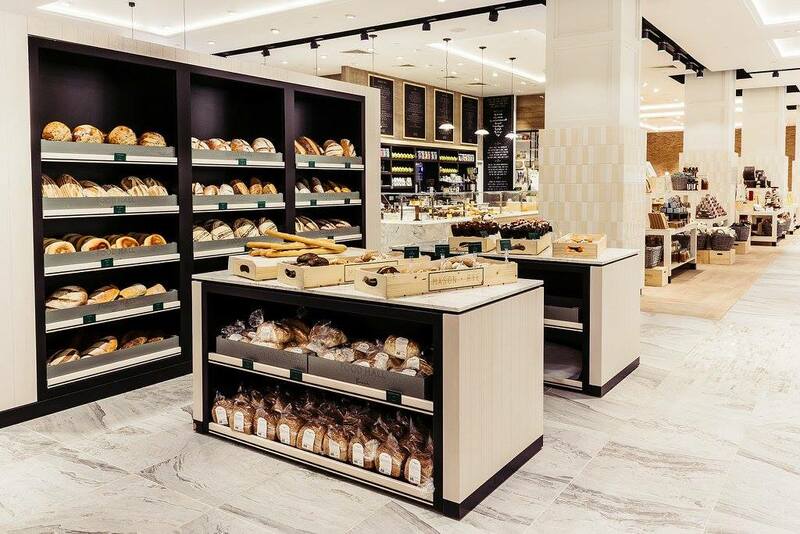 The food hall's redevelopment has been two years in the making and has been designed by those who have worked with the likes of Fortnum and Mason and Harrods. 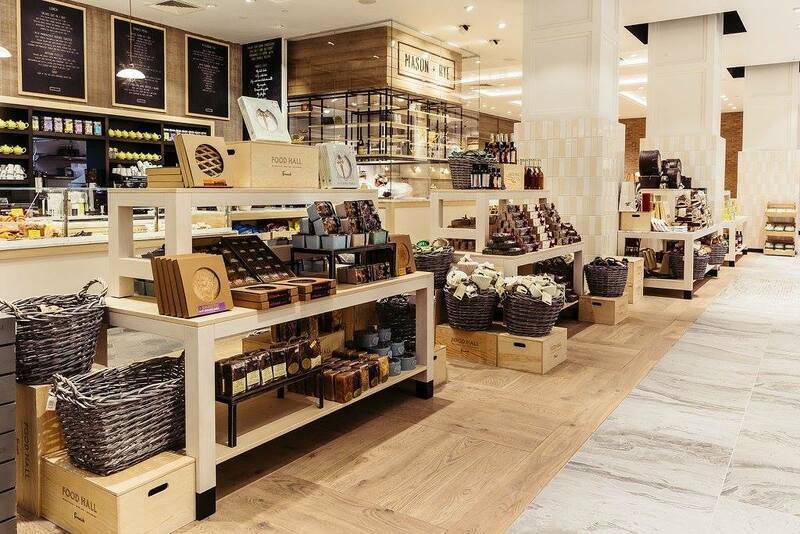 You do feel as if you are walking around Harrods food hall now although without the hefty price tag. I found that the produce actually wasn't overpriced for the quality you were buying. 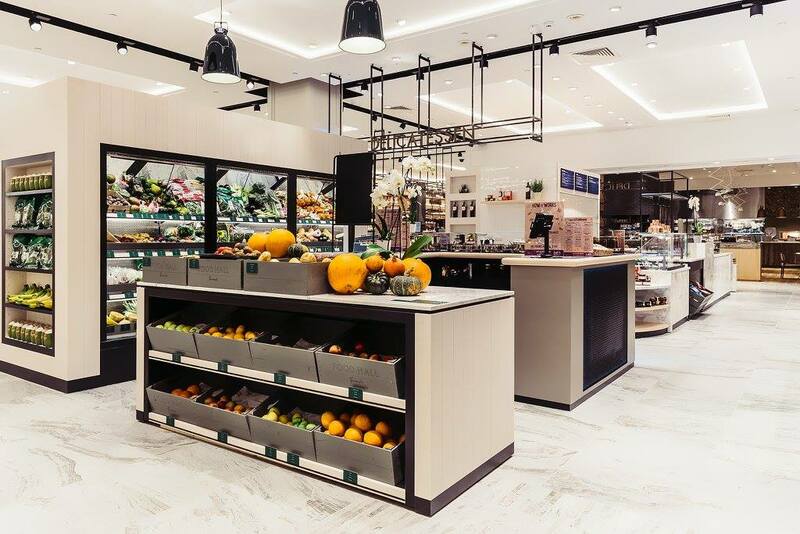 I love how Fenwick, like Harrods, still sell basic items such as tomatoes, banana's and potatoes - you could buy your whole weekly shop here if you needed to (although I imagine most will probably be shopping half at Fenwick and half at the nearby Grainger market). Just look at all the artisan bread! Fenwick food hall is interesting in that you can be walking past the clean food of local favourite the Naked Deli at one moment and then staring at an indulgent chocolate brownie and patisserie counter the next - all types of diets and tastes are catered for - I even counted at least 15 varieties of honey to choose from. Loved the award winning Woods Brownie Company - I recommend the cherry! Catching up with friends and exchanging photography tips - as you do. A highlight of our evening was catching up with Sun and Stephen from Lauden Fine Chocolate. 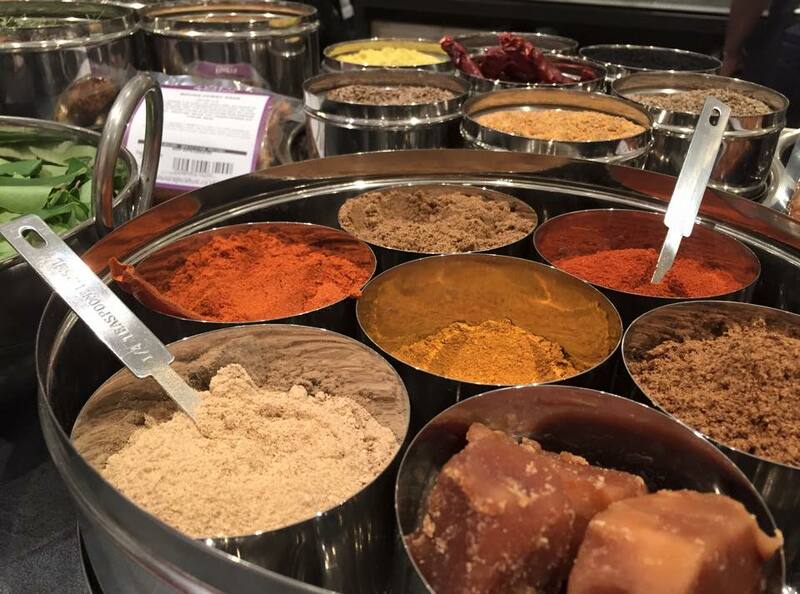 If you visit anywhere in the food hall, make sure it is this counter. The chocolates were exquisite and the finest I've ever tasted - sorry hotel chocolat but your days are gone now. 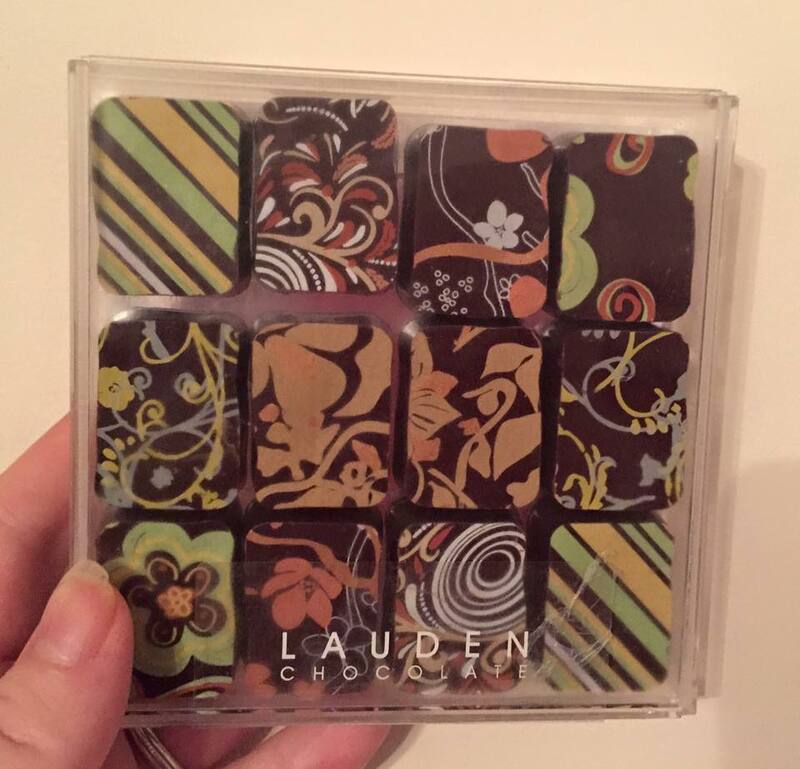 Whenever I need a chocolate hit I will be heading straight to Lauden. 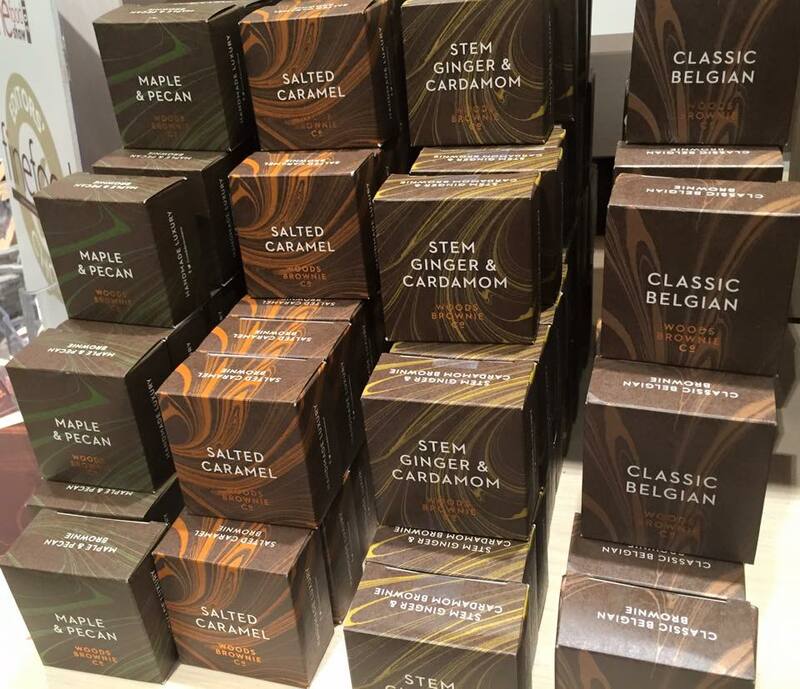 The staff are passionate about their chocolate and will happily let you create your own bespoke chocolate box. My box of 12 chocolates was £10 which is actually around about the same I would pay anywhere. The difference is, this one is local, bespoke and made with real passion and really is the ultimate treat. 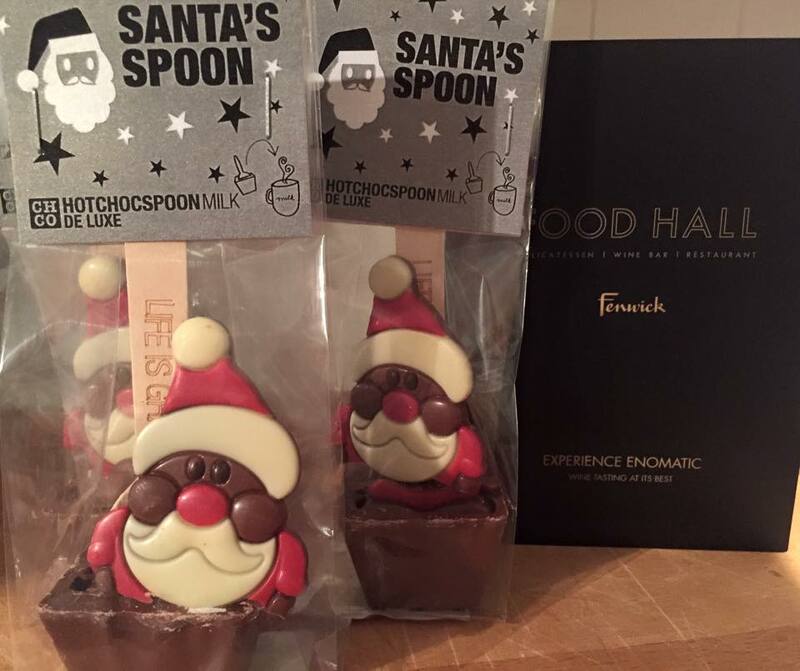 Staying with the chocolate theme, I could not resist buying these Santa hot chocolate spoons for the children on Christmas eve from CHCO Chocolate Company. Designed to be stirred into a mug of warm milk they really will add to the magic of Christmas. There are more grown up flavours to choose from too including salty caramel, caramel bourbon and Irish Cream. At 3 for £5 I think they area a bit of a bargain too. 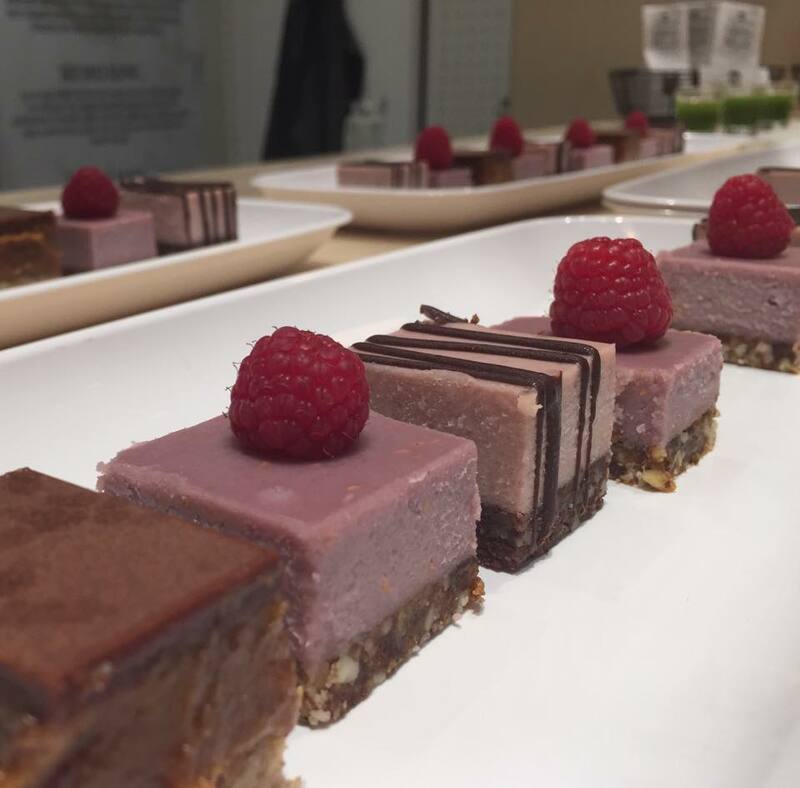 Delicious treats from The Naked Deli counter which are unprocessed, whole and natural. Ah the wine hall! Fenwick now even has it's own wine room with a fancy enomatic wine dispenser which I can't wait to return and try. 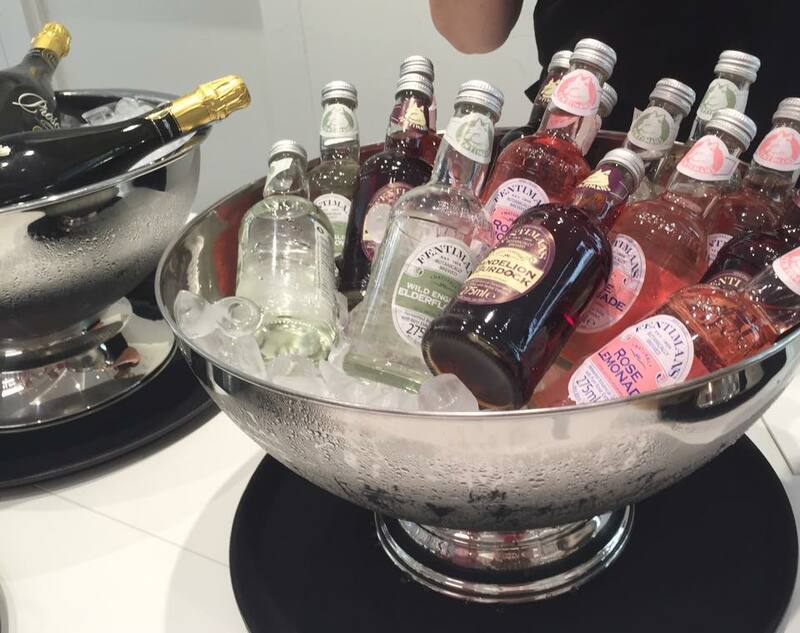 For now, we browsed the many, many wines, spirits and soft drinks available and I was delighted to find 5 varieties of English Sparkling Wine on the shelves - my favourite! 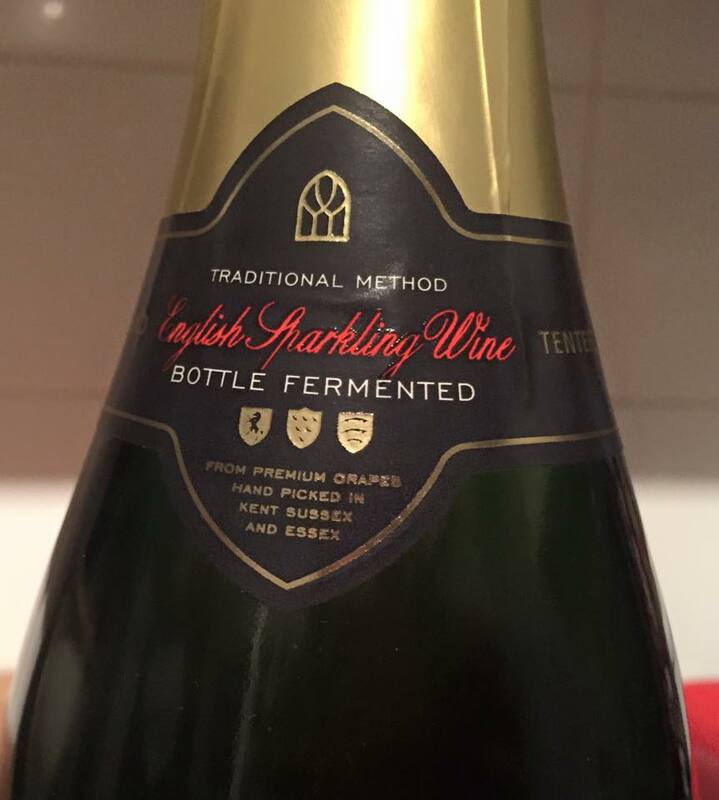 I picked up a bottle for less than £20 which is pretty unheard of - I'll let you know what it's like. 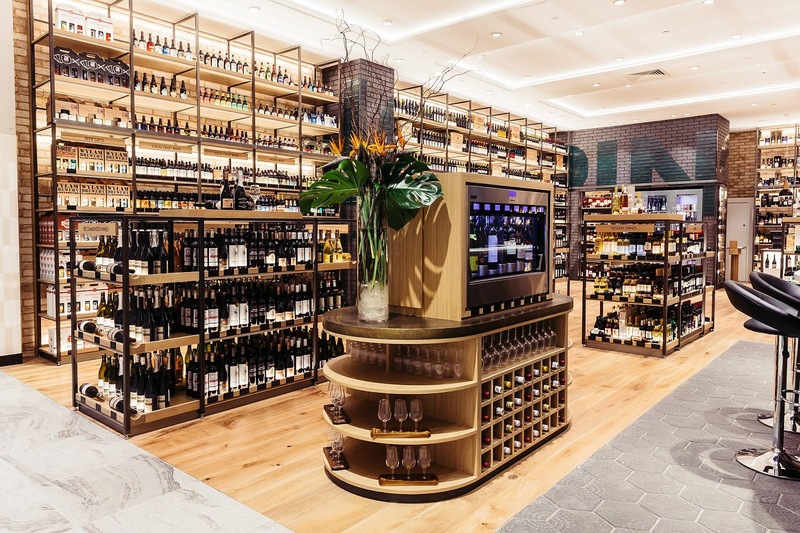 The staff in the wine room are so lovely and down to earth - I don't know heaps about wine and sometimes stepping into a wine shop can feel daunting and the staff can be a little on the pretentious side. At Fenwick this is absolutely not the case at all. The staff are knowledgeable and friendly and not at all stuffy. I was also delighted to see Fenwick stock favourites from the Lakes Distillery - now I don't need to pop over to the lakes to get my fix (although I would still recommend you do this if you haven't been and try their tour). I don't know why but a trip to Newcastle during the day for me always involves stopping for a coffee somewhere. It just seems to have become a habit I have formed. 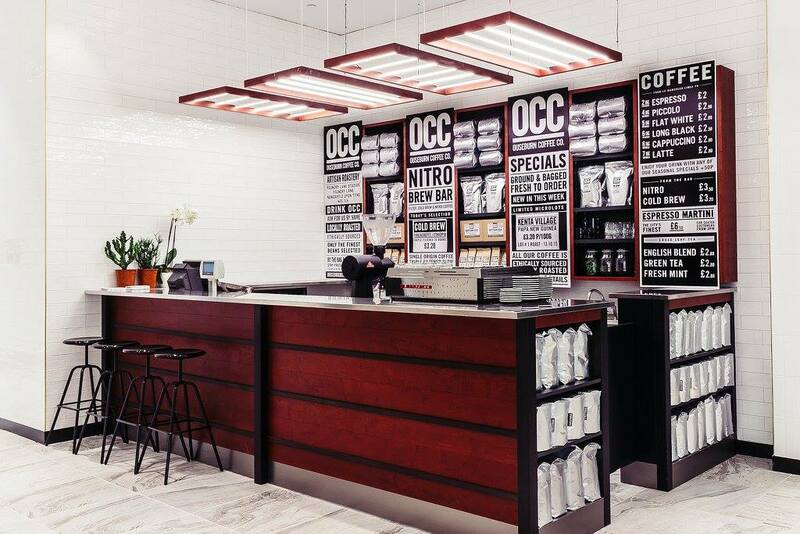 I am delighted to see local Ouseburn Coffee has their own area in the food hall with both a coffee bar and produce for sale - this will definitely be where I come for my caffeine hit to cope with the dreaded Christmas shopping next month. 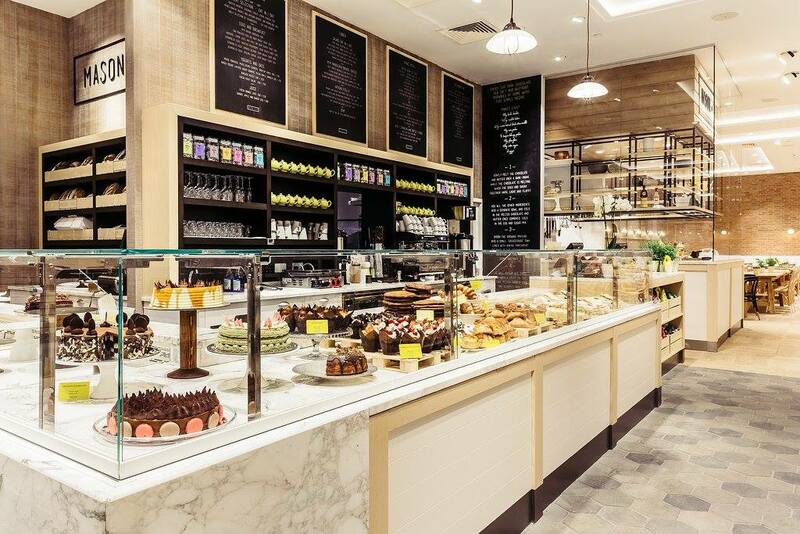 If all of this shopping becomes too much or if you are looking for somewhere to stop for a bite to eat, Fenwick food hall now has a range of exciting eateries including a Mediterranean wine bar and restaurant Fuego. Renowned local chef Terry Laybourne from 21 hospitality has opened Asian restaurant Ko Sai with business partner Parichar Somsri-Kirby. With authentic and healthy dishes inspired from Cambodia, Vietnam, China and Korea, Ko Sai certainly offers something new and exciting to the Newcastle dining scene. 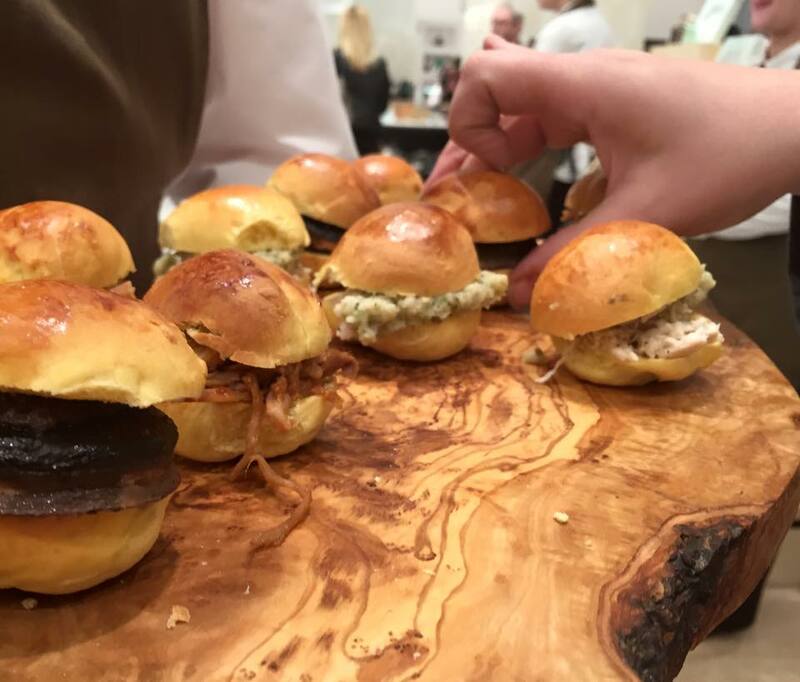 The samples we tasted were packed with fresh flavours and I can't wait to return for more. Terry Laybourne is also the man behind the Saltwater Fish Company which is already receiving rave reviews. 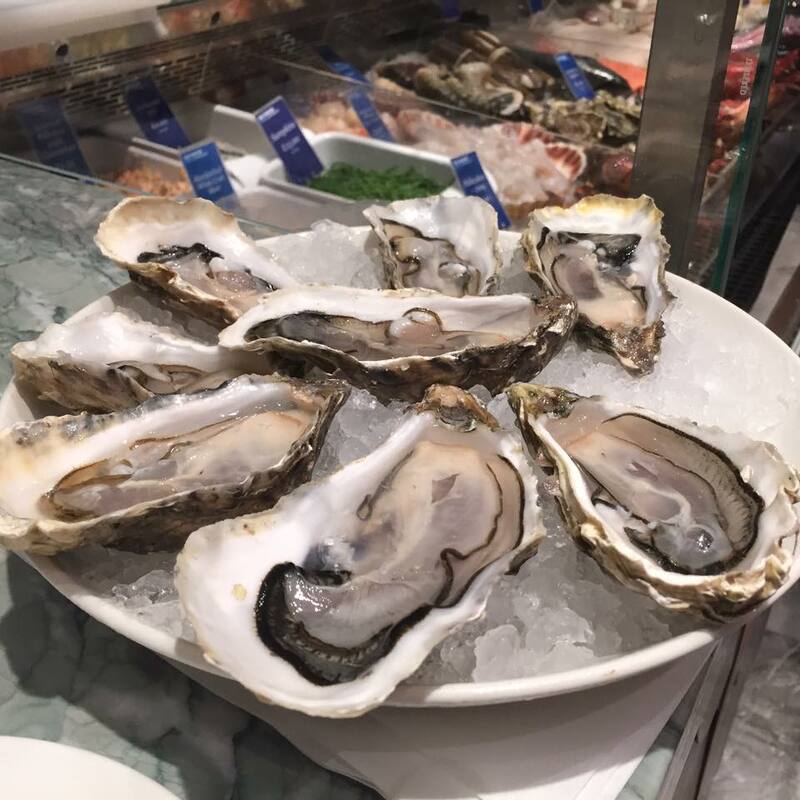 A seafood bar that seats 40, this area is designed to give customers the best quality ingredients and experience when time is of the essence. 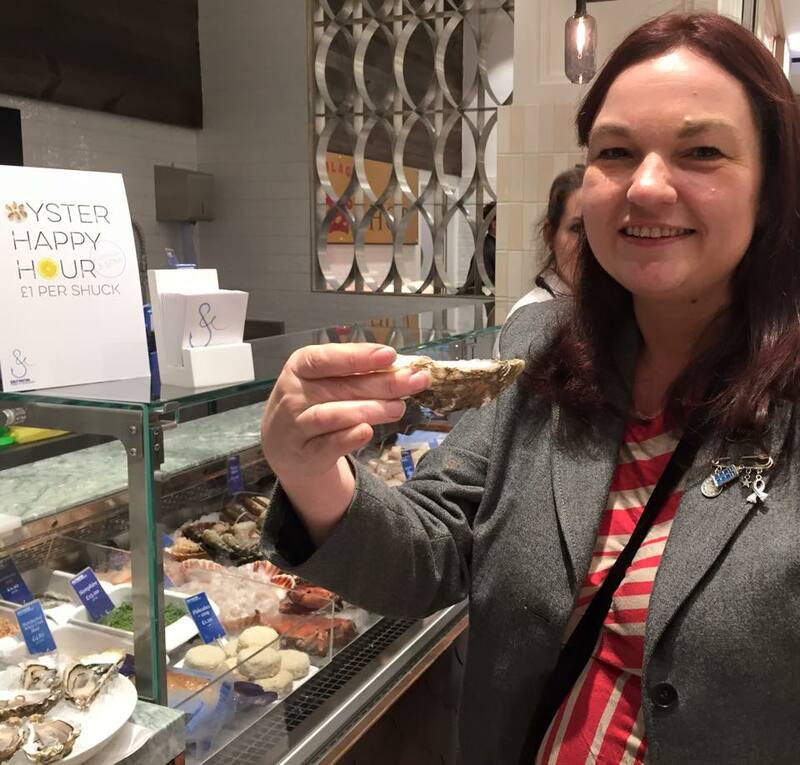 It's also the place to satisfy your oyster craving where they are only £1 per shuck with an accompaniment. I walked past the deli counter with wide eyes - the cut meats on offer are probably the best in the area! Most are carved straight from the joint. We sampled a few I can vouch for how succulent and flavoursome they were - a billion times better than a packet of ham from the supermarket. I was also delighted to see the award winning Blagdon farm shop have their own counter - you must check out their sausages! I bumped into my friend Shivani who recommended I pop over the Rafi's Spicebox. Shivani spoke so passionately about them that I knew I was in for a treat. We tried some of the lamb Phall curry they had on the go and oh my goodness it was almost as delicious as the Goan lamb Vindaloo from Haveli. 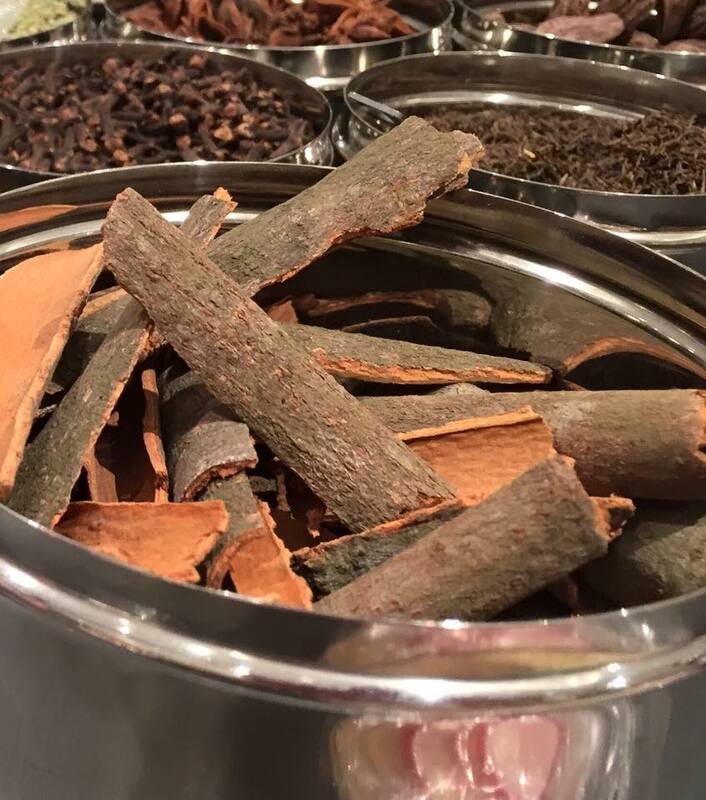 We got chatting to the guys behind the counter who explained they make customers up their own spice packs there and then and can customise it to their requirements - like your madras to be hot, hot, hot? These guys can sort that out for you. Allergic to a particular spice? Not a problem they'll leave it out. I loved the experience of having a bag of spices created just for me and I just need to add liquid and lamb to create the same authentic curry at home - definitely one for the slow cooker, I'll report back how I get on! I think this is probably the longest post I have written in a while! 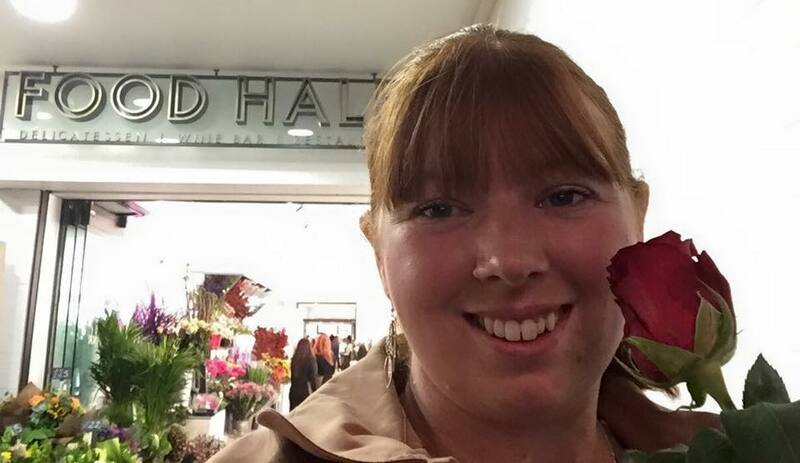 I truly fell in love with the food hall and I know I am not going to return just a few times, I think it is now going to be at the heart of where I plan our weekly grocery shop and I will definitely be popping in every few weeks to stock up and my favourite local and quality products. I'm heading back this afternoon, I have withdrawal! It's lovely Beca - take plenty £ as you'll want to buy everything!